seeing them live is like fully experiencing what heavy metal was meant to evolve into. problem is gwar’s music is uninspired, bland, predictable, and soulless. meanwhile their best moments live are when they’re chopping the heads off of fantastically grotesque creatures who then spurt endless streams of “blood” into the adoring mosh pit below. but the music is terrible and its only getting worse. what needs to be done is a rock n roll intervention. 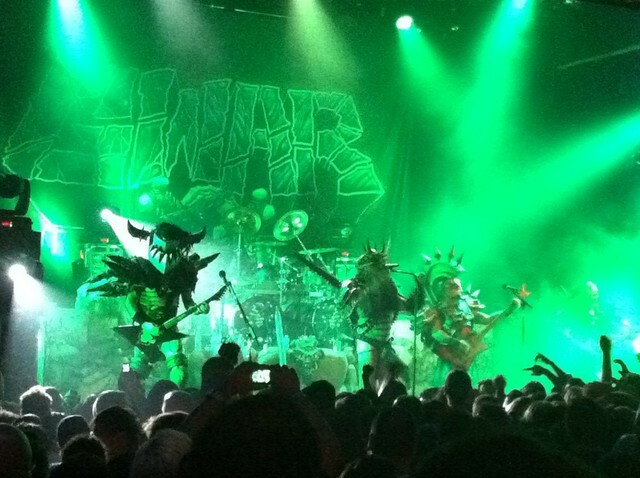 if the top 20 metal bands and hard rock groups wrote one song for Gwar – a good song – they could go tour for the next thousand years and not bore audiences (which seems impossible, but its true). Kansas, REO Speedwagon, Styx, soooo many bands tour off 3-4 songs. If Gwar had 10 seriously good ones heavy metal would be saved. And blood would flow forever. But last night at the house of blues we left early after an hour of the same old same old. do you know alecia is still traveling?